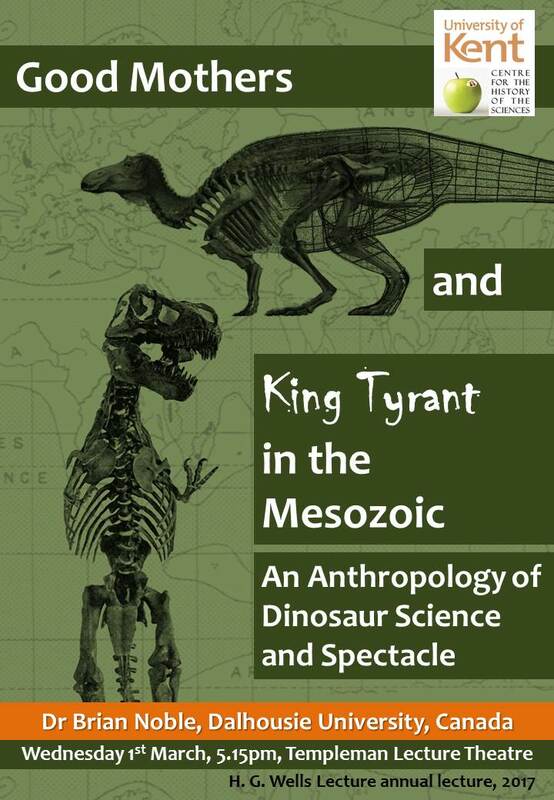 Drawing on his recent book, Articulating Dinosaurs: A Political Anthropology, Anthropologist of Science Brian Noble discusses how dinosaurs have come to make a difference to us as humans, and us to them. Noble combines his background in paleontology and museum exhibit design, with expertise in ethnographic research and critical literary, film, and cultural studies. 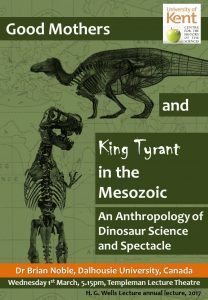 He brings to bear this inter-disciplinary in tracing how fossils and spectacles collide in the resurrecting of two particular dinosaurs: Tyrannosaurus rex and Maiasaura peeblesorum – and with that, details how these supposedly bygone creatures express the hopes and fears of our past and present moments.